This entry was posted on October 22, 2018 by Magnattack. 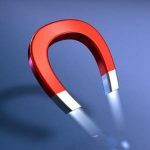 The strength of a magnet, usually measured in gauss or pull, is one factor that determines the effectiveness of a magnetic separator. In the food industry, equipment is exposed to a variety of different temperatures, environments, products, and other circumstances that can affect the magnet's strength. High-quality magnetic separators can retain adequate strength & effectiveness for many years, however, low-quality cheap systems can lose their strength rapidly - despite being 10,000 gauss or higher upon supply! • rough handling (such as dropping or banging). Once a rare earth magnet's strength is lost, it is lost forever - you cannot 'recharge' these magnets strength as you can a battery. To learn more about the causes of demagnetization and how to prevent this from occurring, download our free whitepaper here. So important to only use the highest quality neodymium magnets when it comes to creating magnetic separation systems. Don't want the low quality stuff to cause unwanted materials to end up in the processes that are supposed to keep things safe for consumers! Thanks so much for sharing!